A leader of the All Progressives Congress, APC, for Akwa Ibom and Cross River States in Lagos, Chief Edet Okon Etim, has noted that President Muhammadu Buhari, a national leader of the party, Bola Tinubu and the party’s national chairman, John Odigie-Oyegun, were already making serious mistakes that could cost the party in 2019. According to Etim, the party’s leadership has succeeded in sidelining all those that worked for it in 2015, being mainly the people that came in from the ACN, CPC and ANPP to form the APC. He said instead, the APC leadership is recognizing those who joined the party from the Peoples Democratic Party, PDP, warning that for the party to survive the 2019 election, things must change for the better for the original owners of the APC. 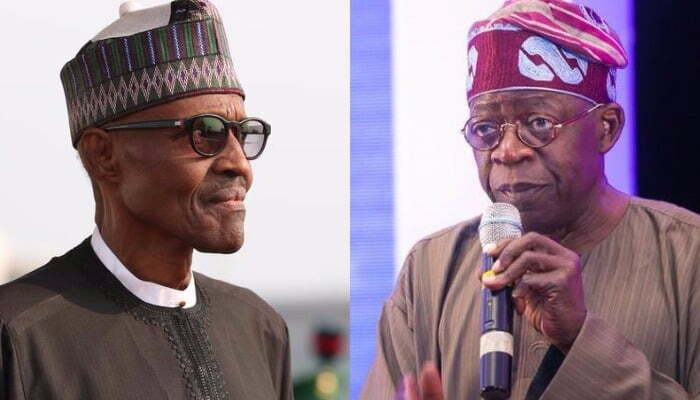 Fielding questions from the Sun, Etim said, “For us to survive beyond 2019 general election, President Buhari, Asiwaju Bola Ahmed Tinubu and the national chairman should wake up and recognise the original party members that came from ACN, CPC, ANPP to form our APC. “These founding members should be integrated into the main stream and Buhari should avoid using defectors for strategic planning. With this in place, we will continue to be stronger and also continue to lead the national government. “The original members of the party have been infiltrated and factionalised by dubious defectors from the PDP. Recall that the then ACN in 2011 singlehandedly fought and won the Uyo Federal House of Representatives and the Uyo State House of Assembly seats under Gov. Godswill Akpabio and President Goodluck Ebele Jonathan. “In fact, our current vice president was the lead counsel in the case for the ACN, at the time. But that could not be achieved in 2015 because we had people that came from other political parties to our fold with negative agenda and support by some of our bad national leaders. “For instance, Athanatius Okon, who is the present national coordinator, friends of president Buhari, Nigeria, among others, have not been given any national appointment, Efanga, a lawyer, lost his brother and mother through gruesome murder for the reason of his being the legal adviser to ACN. “I recall that the president in an interview in 2015 had warned that defectors from other political parties to APC should not be allowed to take frontal positions in the party, but now some of them are already taking frontal position which is affecting the policy and ideology of the party. Right now about 50 percent of the present appointees in government are from the PDP, which he asserted is slowing down the programme of the party.